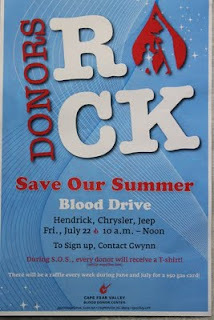 Hendrick Chrysler Jeep is holding a Blood Drive on Friday, July 22 from 10am-12pm. 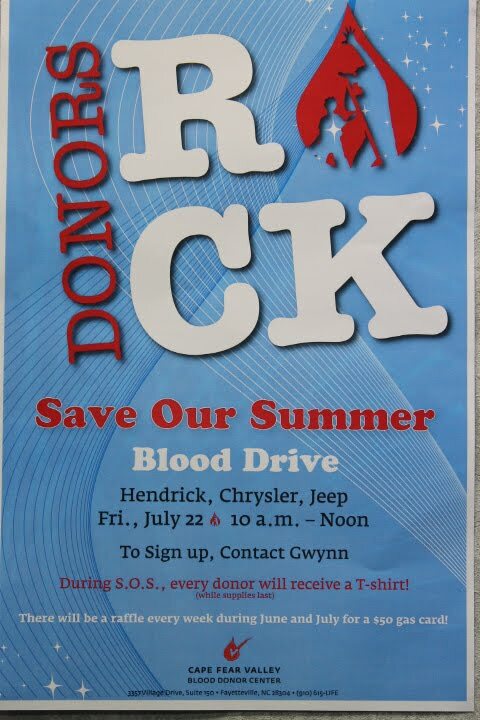 During S.O.S, every donor will receive a free T-shirt and there will be a raffle every week during July for a $50 gas card. Come on down and donate! The Most Awarded SUV Ever. Great Finance Options on new Jeep Wrangler! Special Factory Certified Used Car Promotion! The New 2011 Jeep Camper.